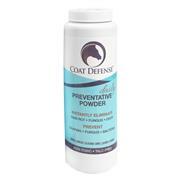 Coat Defense Daily Preventative for Horses. Cleans and Deodorizes. Heals Equine Skin Conditions and Wounds.